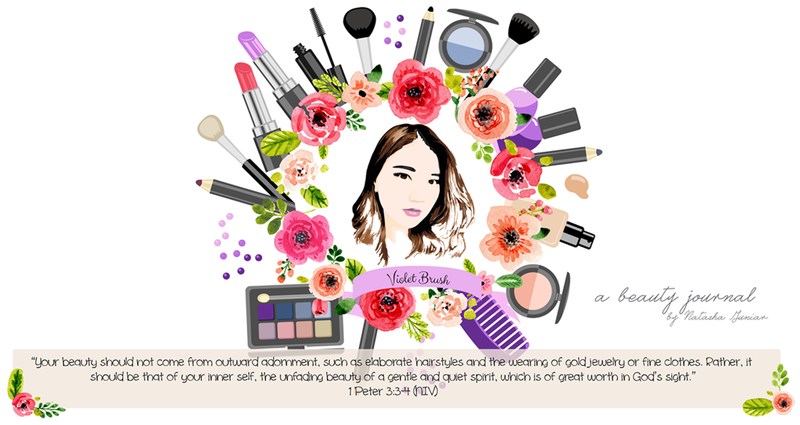 Makeup Multi-Cream maximizing the radiance and dewy glow on skin, completing flawless skin with plumped up moisture. To use: apply evenly on skin with 1:3 mix of BB cream or foundation. Use foundation brush or BB brush to get perfect blending. When used for highlighting, apply on the nose, forehead, and cheekbones with the volumer alone. 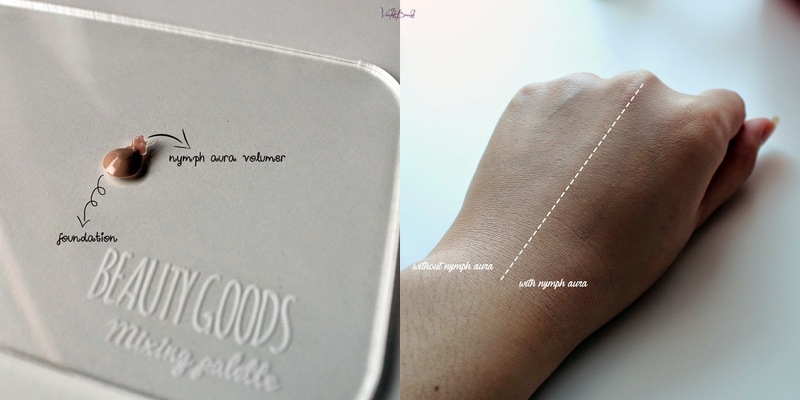 Etude House's Nymph Aura Volumer comes in an opaque-white bottle with a pump, which for me, is a plus point. As I have always said, pump packaging makes it easier to control the amount of the product taken out and you won't have to worry about the product's hygiene. 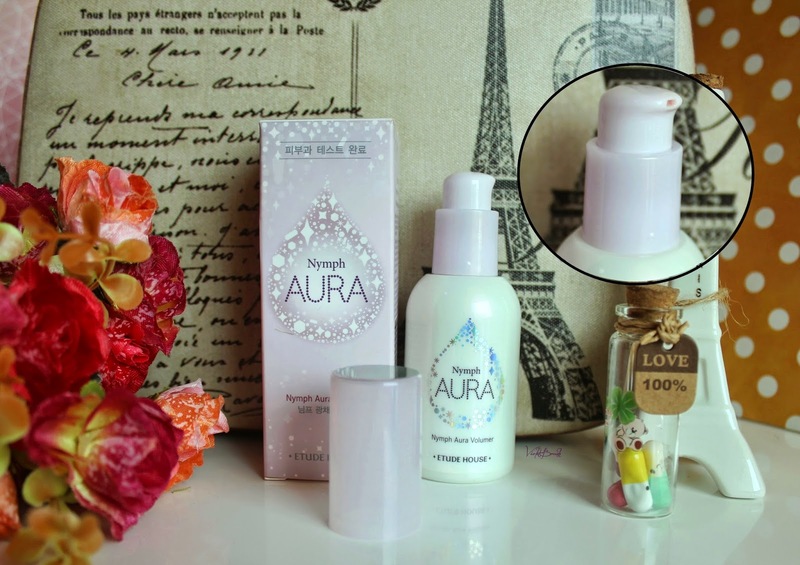 However, one minus point from the packaging is the opaque bottle since it doesn't allow you to see the remaining of the product. 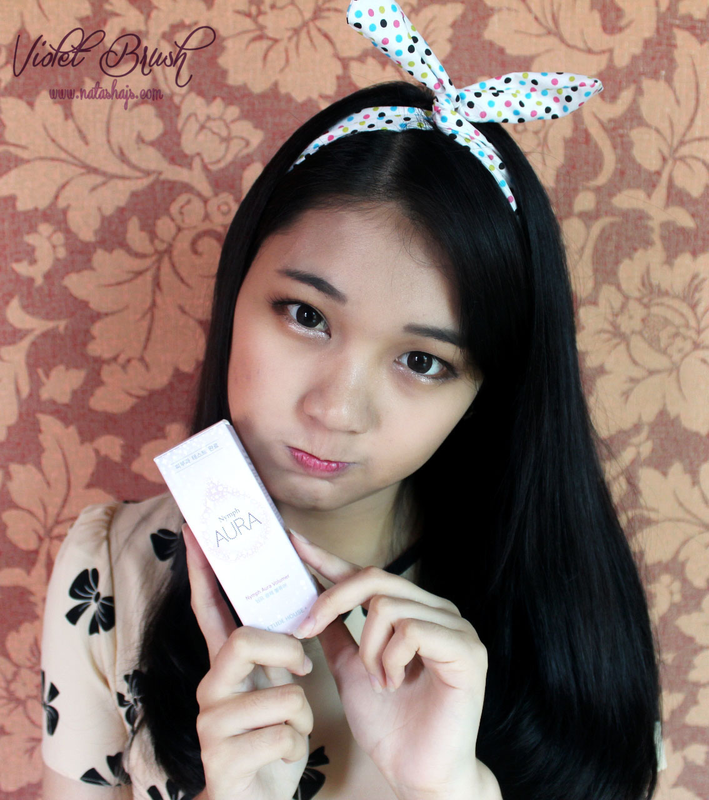 Etude House's Nymph Aura Volumer has thick-creamy texture and a little bit too sticky to my liking. Nevertheless, it does do its job well. 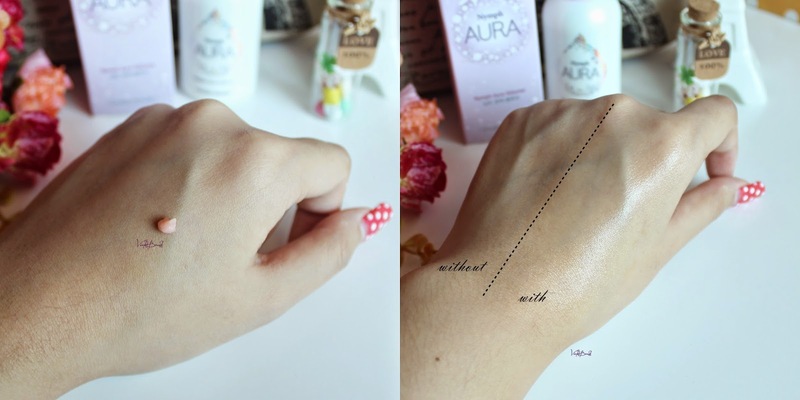 Etude House's Nymph Aura Volumer gives instant dewy-glow effect to the skin, perfect for those who love Korean-style makeup. It has no glitter particles, which add a plus point. Although it contains fragrance, I don't know why I smell nothing from this product. As you might see on the picture, the glowing effect didn't show up much when combined with foundation. I usually use more than the 3:1 ratio since the glowing effect didn't show up. yeap, I really don't like the sticky feeling >< I think I'm going to try the #3 though :b thank you anw!